A novel dosemeter is now available from Castle boasting a wide range of features, but perhaps most interesting of all, the ability to measure sound inside a human ear! 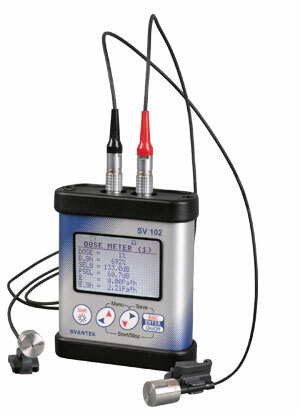 The 102 dosemeter will not only measure real-time octave bands, has two microphone inputs and is tiny, but has a special microphone designed to fit into the ear canal to measure where it has not previously been possible to do so! The instrument itself features real-time octave bands, data-logging of sound levels for Leq, Lepd and some environmental parameters. It also has two separate connections on it for independent microphone inputs to enable simultaneous measurements; a feature particularly suited to it function as an in-ear monitor as it is possible to measure inside, and outside the ear at the same time. Castle Group is internationally renowned for supplying health and safety and environmental products and services into many industries, covering a wide array of subjects from Noise and Vibration, to Air Sampling, Temperature and Light. Castle provide solutions in the form of products to buy or rent, training courses, consultancy and calibration.